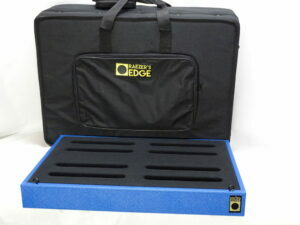 The Middy is our mid-sized pedal board. 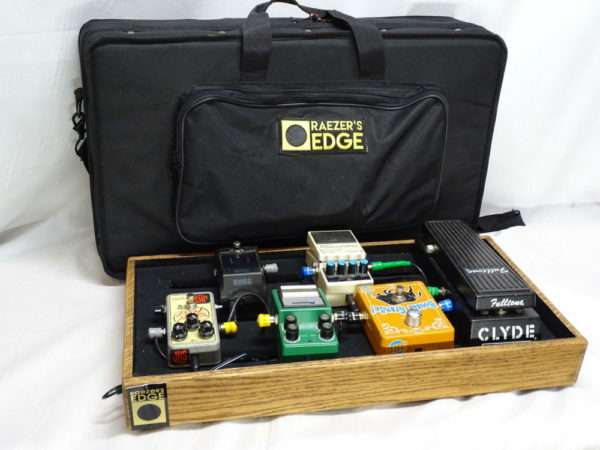 Built to hold 5-8 standard or larger pedals. Comes with a hard frame gig bag from SKB. Available in a variety of tolex colors or natural stained oak. Simple and functional. The gig bag combines the protective qualities of rigid foam with the style and portability of a canvas bag. A padded interior, padded carrying handle and shoulder strap provide lightweight portability. 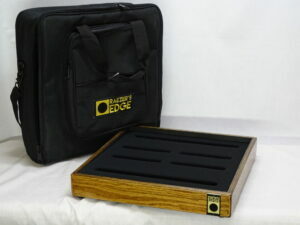 Options: Tolex color, natural wood finish, pedal tray loop fabric color.